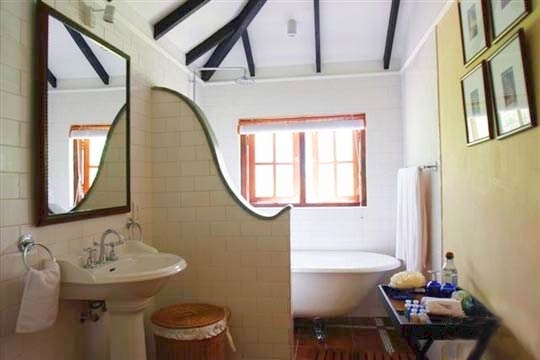 Set amidst a working tea plantation on a hillside in Pussellawa, The Lavender House is a lavish example of a beautifully renovated nineteenth century Ceylonese tea bungalow. Surrounded by seven acres of landscaped grounds, the single-storey bungalow overlooks freshly clipped lawns encroached upon by vibrantly colourful borders; its moss-encrusted stone terraces making the most of the verdant valley vistas. At the end of the lawn is a sunken terrace that features what has to be one of the Hill Country’s most dramatic infinity swimming pools, dropping away into a haze of tea, mist and mountains. Not only is the picturesque location of this luxurious bungalow every escapist’s dream, its finely aged character is complemented beautifully by fresh, contemporary furnishings that it make it feel very much like home. 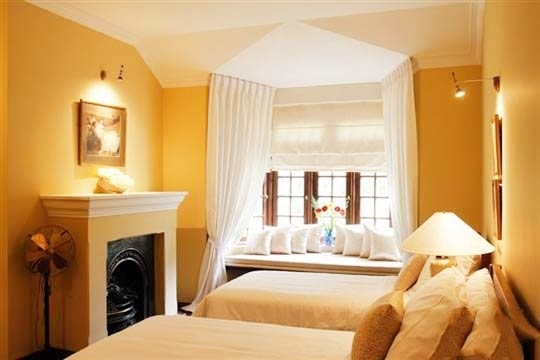 Each of the five bedrooms feature supremely comfortable beds scattered with soft cushions, heavenly bathrooms filled with delicately fragranced toiletries and sun-drenched French windows onto private flower-filled courtyard gardens. Whilst escaping to your bedroom is a temptation hard to resist, the rest of the bungalow is every bit as cosy, comfortable and inviting. 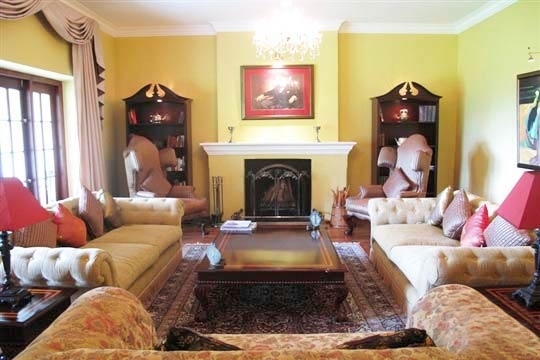 The tartan-hued billiards room and the spacious living and dining areas - enhanced by a built-in Bose sound system, ageing photographs and fresh cuts of flowers - exude a warmth and hospitality that make this bungalow perfect for overdue family get-togethers or a rendezvous with friends. The Lavender House comes fully staffed and the chef is a particular delight to behold; uniformed in his crisp whites he provides not only a delightful helping of mealtime formality, but also an extra touch of nostalgia. Freshly prepared meals (Lavender House operates on a B&B, half-board or full-board basis) can be enjoyed amongst the shining silverware in the burgundy dining room or outside on the spacious terrace beside the pool. The menu ranges from imported steaks to traditional Sri Lankan rice and curry which can be accompanied by a bottle picked from the bungalow’s own wine cellar. 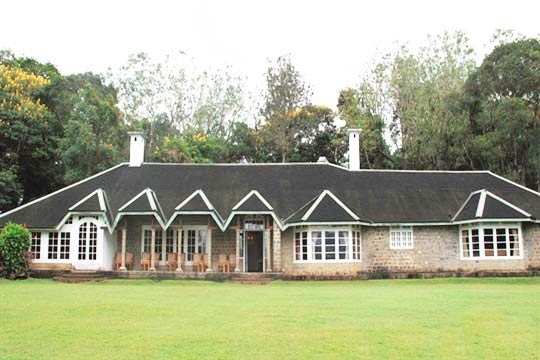 If eating too much becomes an issue, the jogging track or clay tennis court might come in handy, whilst the estate’s tea trails and factory are fun to explore on foot. Gorgeous bathrooms, lavish bedrooms and a fabulous infinity swimming pool. 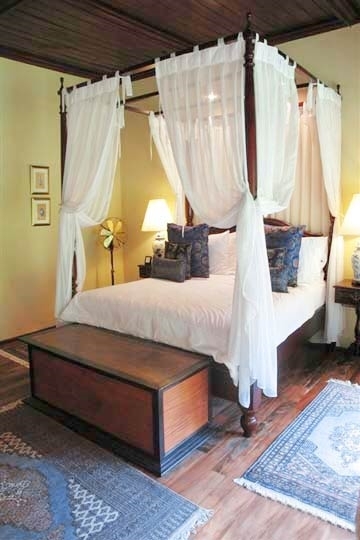 We liked that The Lavender House blends authentic colonial hospitality with contemporary living as this resulted in just the right balance of comfort and personality. 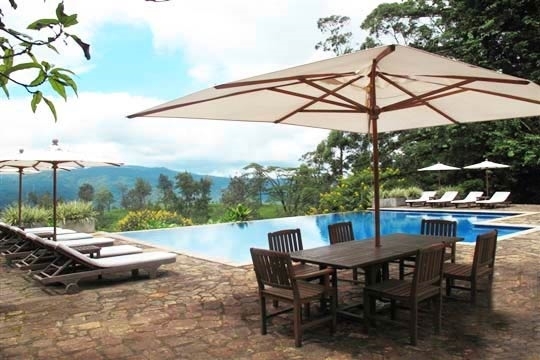 The location too, though isolated, complements the experience as views are of endless tea fields and mountains. As a couple, its privacy and seclusion felt romantic; however I imagine that the bungalow would be great, if not better for bigger groups. Families will appreciate the bungalow’s spaciousness; large lawn, big pool and generous grounds hosting a jogging track and clay tennis court provide plenty to entertain different members of the family; there are also many places both inside and out where pockets of privacy can be found – each suite’s own private garden is a delight. Aside from walking the tea trails and visiting a factory, there was little else to do in the immediate local area, making it was a good place to concentrate on thoroughly relaxing rather than feeling the pressure to explore – take some good books. Rooms are generously sized and although the master bedroom is a little larger than the others each room is tastefully decorated; we particularly loved the dreamy cushioned window seat in the twin room. 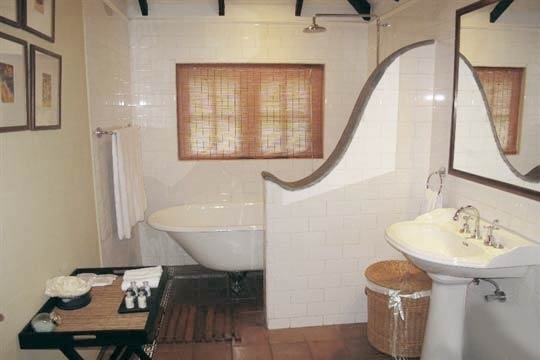 The bathrooms were a real delight and we loved the generous selection of toiletries. 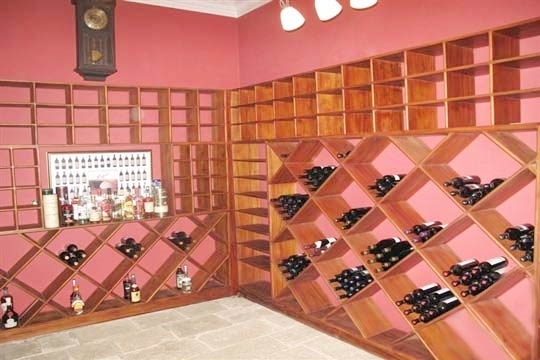 Wine connoisseurs will appreciate the cellar’s selection of wine (including bubbly) and full bar; there’s more quantity and range than we have found elsewhere in the region. The staff were always professional and the chef’s cooking was excellent; we liked the fact that we could go into the kitchen and watch him prepare our meal or have an impromptu curry demonstration. Guests can use the kitchen too if they wish although given the quality of the food we feel this is unlikely. It was great being able to plug our iPod into the Bose sound system and listen to our own music even when down by the pool. 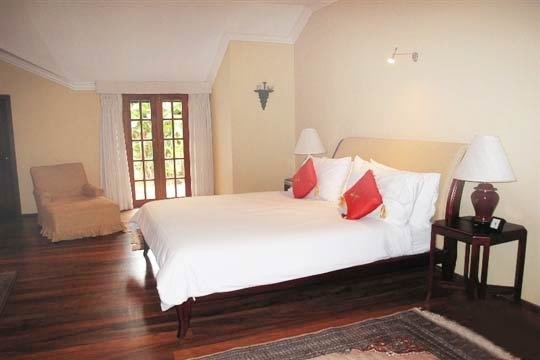 The contemporary luxuries of the bungalow such as gorgeous bathrooms, lavish bedrooms and a fabulous infinity swimming pool were definite highlights of our stay, as was the large garden with jogging track and tennis court. The bungalow has a wonderfully warm and relaxed atmosphere, and the friendly staff completely pampered to our every need. The climate is a little cooler here, and this will suit many wishing to escape the heat and humidity of the island’s lower elevations. The rugs in the bungalow accessorise the rooms beautifully but can sometimes be a slippery hazard atop the polished floors. Expect midges and mosquitoes, especially during the rainy season, and you might come across a few leeches if you happen to explore off the beaten track; Dettol (mixed with water) is often a good deterrent. 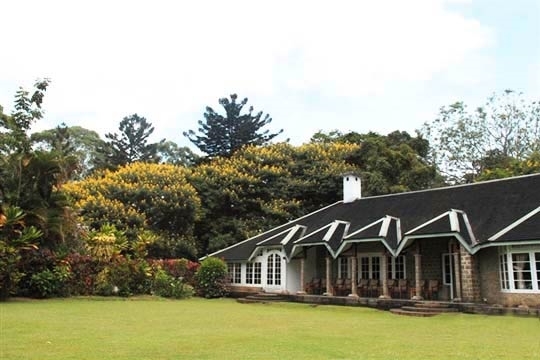 The Lavender House is set amidst the Hellboda Tea Estate a few kilometres from the village of Pussellawa, midway between Kandy and Nuwara Eliya. Surrounding the bungalow are acres of bright green tea bushes that are attended to routinely by the estate workers who come and pluck the freshest leaves to be processed into tea. Near the drive-in entrance to the bungalow is a tea factory which sees a lot of activity by day though hardly any at night. Views from the Lavender House over towards the rising mountains of the central Hill Country are spectacular and contribute to its picturesque outlook and serene ambiance. For banks, supermarkets and pharmacies the closest town is Gampola (12km), a dusty town that was once an ancient capital of the historic Kandyan Kingdom. The Pussellawa region is famed for its beautiful green tea-cloaked hillsides, gushing waterfalls and scrubby mountains that form the beginning of the steep climb into the Central Hill Country. 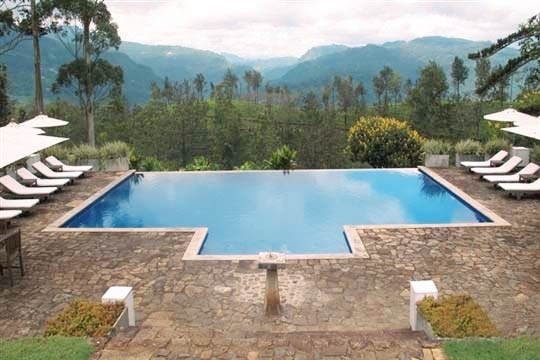 Situated roughly half way between Kandy (32km) and Nuwara Eliya (35km), Pussellawa’s elevation of 855m has a pleasant cooling effect on the climate; whilst days are typically hot and sunny, the evenings might be chilly and the mornings misty. The village of Pussellawa is small – with little more than a couple of banks and a 65-year-old Government Rest House that is a popular stopping point for its excellent rice and curry lunches – but has a magnificent setting. Paths through tea estates can be ambled along in appreciation of this picturesque region, tea factories may be visited and the work of colourful tea pluckers admired as they nimbly pick the top two leaves and a bud of these historic bushes to fling into a wicker basket on their backs. To the west of Pussellawa is the Kothmale Reservoir where you can visit a viewpoint overlooking the hydroelectric dam, whilst to the south is Ramboda Falls which cascades 109m down three sheer rock faces in a cooling sheen of spray and mist. 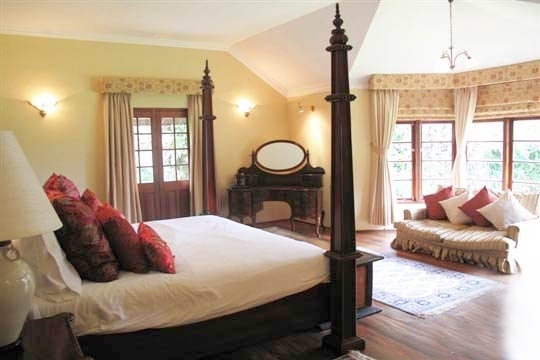 Each of The Lavender House’s five luxurious bedrooms – four kings and a twin - features luxurious soft furnishings, perfectly proportioned antiques, open fireplaces and timber floors scattered with rugs. Each has French windows onto a private terrace and an ensuite bathroom with claw-foot bath, overhead shower and lots of delicious toiletries. At the front of the house, the master bedroom has gorgeous views towards the misty mountains, while the twin-bedded room offers a dreamy cushioned window seat overlooking a private garden. The blue-and-white-porcelain-themed bedroom is especially romantic with its oriental-inspired decor and four-poster canopied bed. The conservatory leads off from the entrance hallway and is bathed in light. 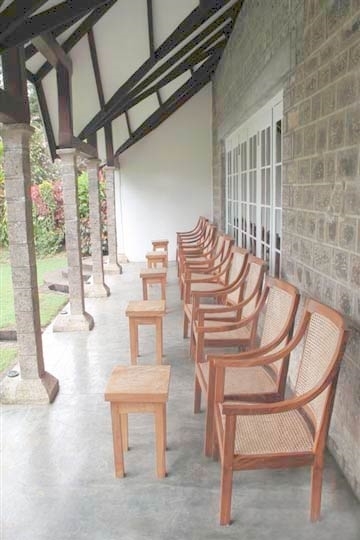 Furnished with plentiful cushioned rattan chair seating, there’s also a TV, piano and selection of board games. French windows lead onto the front lawn making it the perfect spot for enjoying an indulgent high tea. 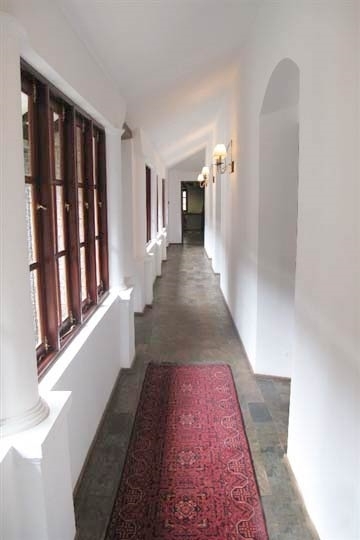 The lounge and dining room are lavish entertainment areas located either side of a slate corridor that leads onto the stone-pillared verandah and front lawn. 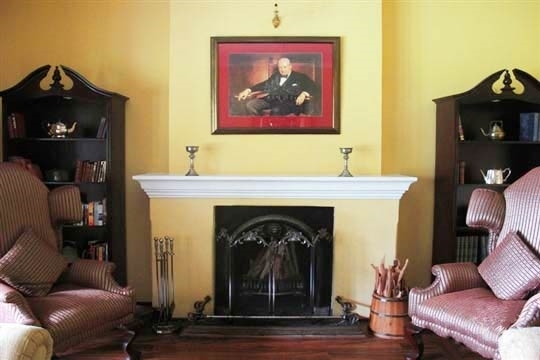 In the lounge, Sir Winston Churchill looks down from his framed position above the mantelpiece; two wing chairs placed either side of the crackling hearth. 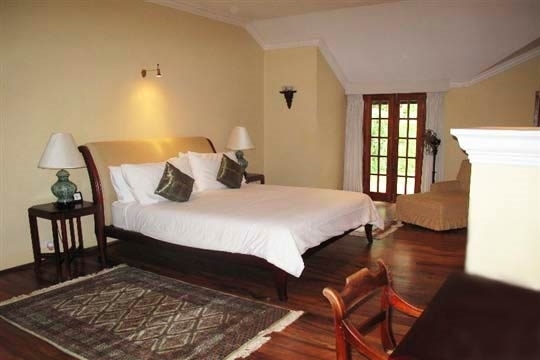 This room is especially redolent of the colonial era, inviting guests to relive the cushioned comfort of life as a British tea planter in Ceylon. The burgundy-hued dining room, with its table for ten, glitters with sparkling glassware and highly polished silverware, making dinner a real occasion. Sit beneath the crystal chandelier and enjoy the chef’s excellent labours whilst savouring a bottle of wine, freshly plucked from the attached wine cellar. 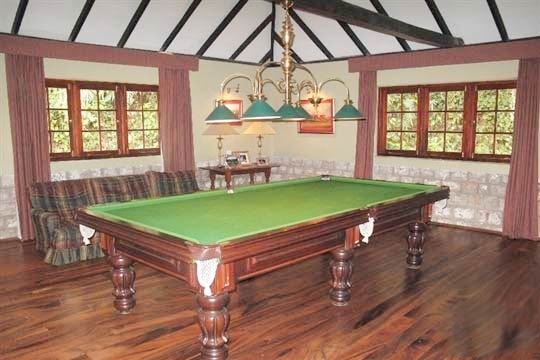 At the rear of the bungalow is a Scottish-themed Billiards Room that offers pre- or post-dinner fun; sip Scotch from the comfort of the tartan sofa or admire the hunting prints as you wait for your turn. 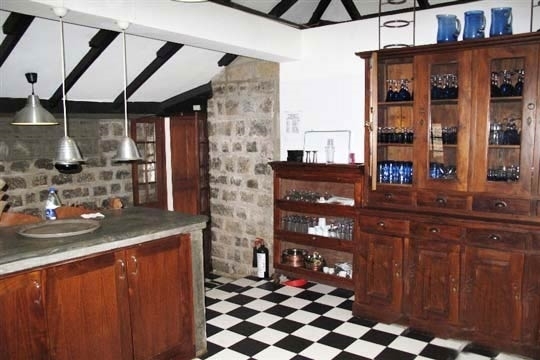 Just across from here is the fully equipped black and white chequered kitchen. 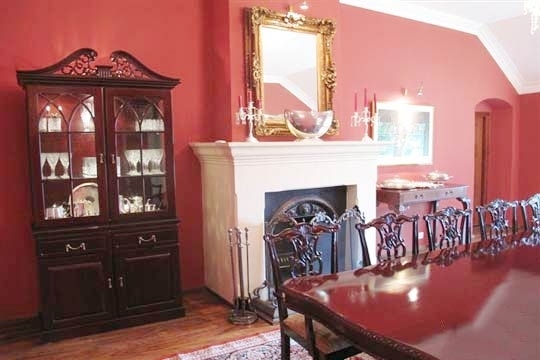 Guests are welcome to watch preparations or prepare simple meals themselves. 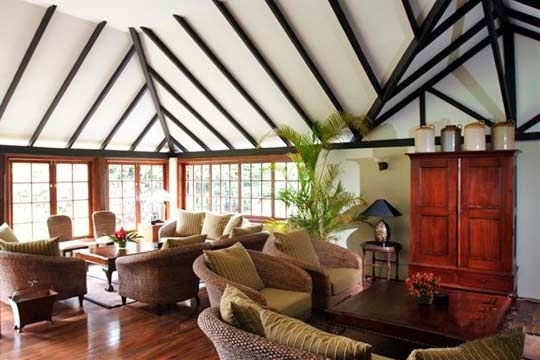 There is a Bose sound system in the bungalow with speakers fitted in the living areas, dining room and swimming pool terrace, the controls of which are found in the manager’s office where there is also an internet-facilitated computer and fax machine for guest use. 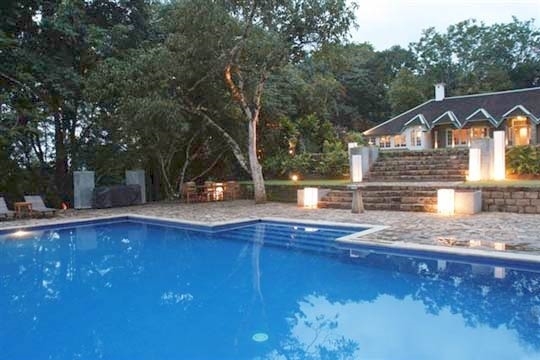 5 bedroom villa located in Pussellawa, Hill Country. Ideal for Bring the relatives, Kid friendly, Gastronomic delights, Fair share for groups, The great outdoors, Party pads, Sensible for seniors, Room with a view, Perfect for weddings.